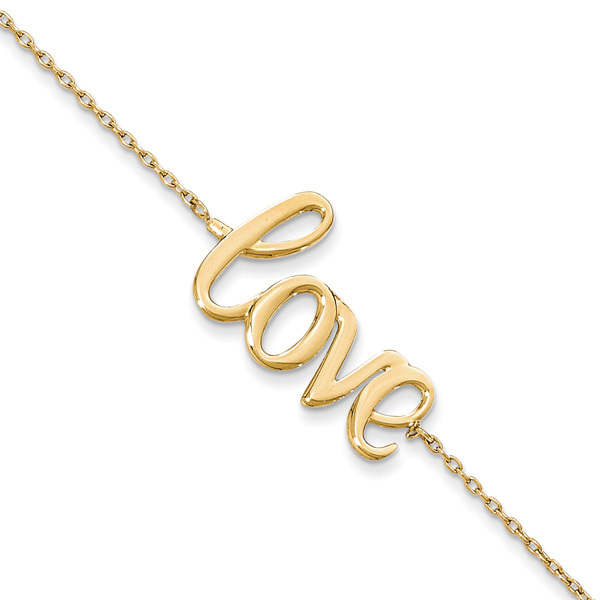 This 14K gold love bracelet from Apples of Gold Jewelry is delicate, feminine, and gives a simple reminder of how loved you are, and how you should always give love to others! The 14K yellow gold bracelet has a 7 inch long chain, complete with a lobster-claw clasp closer at the ends of the chain. In between the closure and the graceful chain is the word "love" written in a pretty script that is incredibly sweet and will warm your heart. This beautiful bracelet is perfect for wearing daily or for special occasions, and it will quickly find its way into your heart! 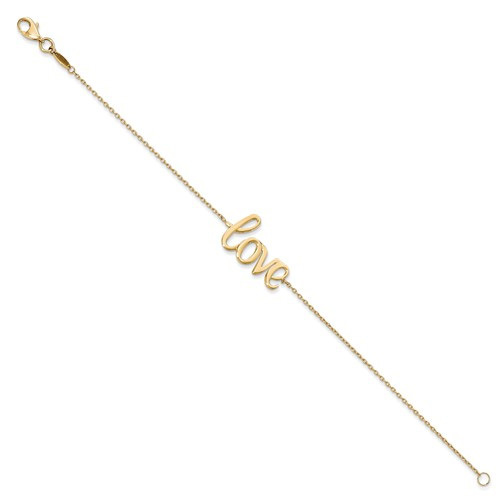 We guarantee our 14K Gold Love Bracelet to be high quality, authentic jewelry, as described above.